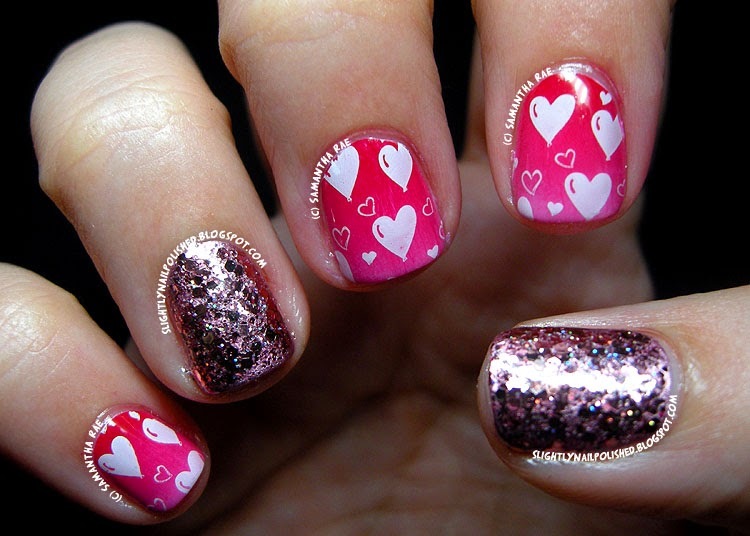 Slightly Nail Polished: Valentine's Day: Glitter, Gradient and Stamping, oh my! 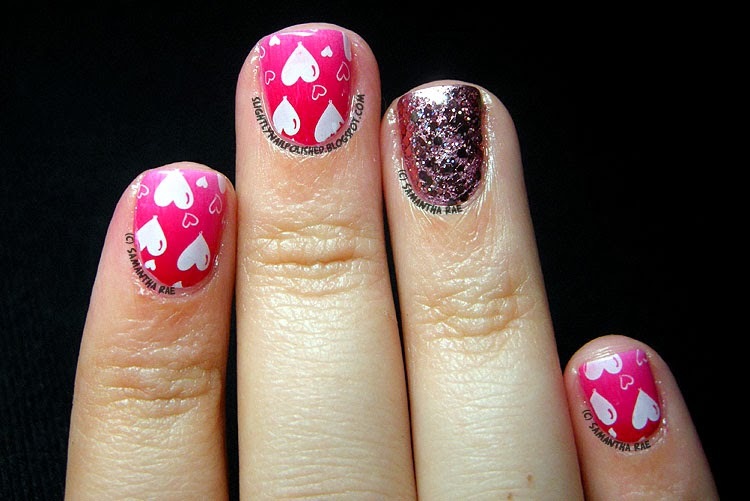 Valentine's Day: Glitter, Gradient and Stamping, oh my! I'm stuck in "Valentine's Day" mode, you guys. I'm really gravitating towards the pinks, reds, and glitters. But I guess that isn't really out of the norm for me, lol. This just screams Valentine's Day, no? And I love it! 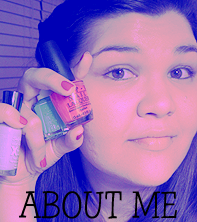 It has all my favorite things: pink, stamping, glitter. I can't stop looking at them. I realized something about myself while doing this design. I really, really like stamping over gradients. Not only do gradients dry really fast and are easy to stamp over, but I feel like it adds a little something special to the stamping. Plus, you gotta love the chunky glitter with holographic speckles. I'm drooling!